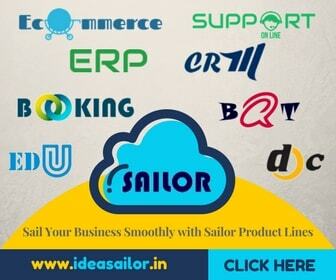 Sailor Enterprise Resource Planning | Ideasailor Technologies Pvt Ltd. Sailor ERP is web-based ERP software promising you to connect your departments, branches, customers, suppliers, agents under a central system. The product comprises of host of Integrated functionality including, Manufacturing, Inventory & Material Management, Sales and Distribution Management, Supplier and Purchase Management. The depth of functionality means that the solution can be readily adapted to support a wide range of operational execution styles and designed with operational efficiency in mind.